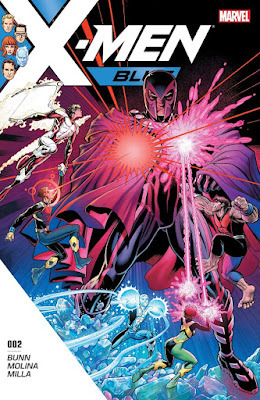 Every team is going to run into issues, and with our “Original X-Men” team we are starting it off here. I didn't know what to think when I went into this issue from the last page of this one but the payoff was satisfactory. Let's dive into things with our Original X-Men and their secret plot. Let me just say I was a little shocked when I opened up this issue. When we ended last issue we had our team letting Magneto know that they had finished the mission they were assigned, which was no surprise since the solicits pointed that out when this book was announced to come out. 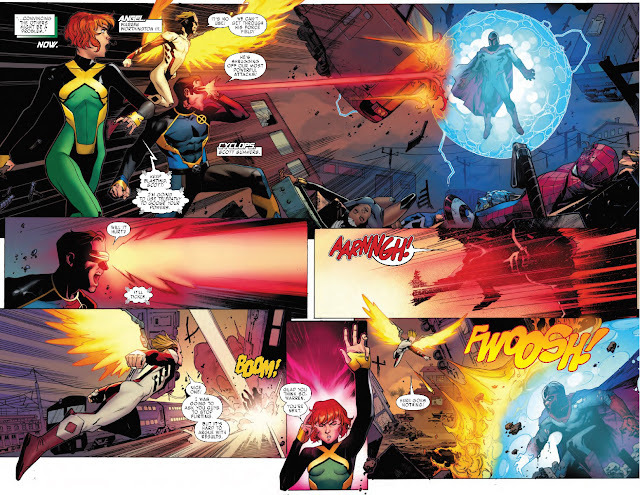 What shocked me was seeing our team, minus Iceman and Beast doing battle with Magneto… Wait, let me go back a second because I jumped to the part of this book I found more interesting, the book started with Jean Grey and Magneto talking two months ago, Magneto is trying to get Jean Grey and her team to help him on his mission. 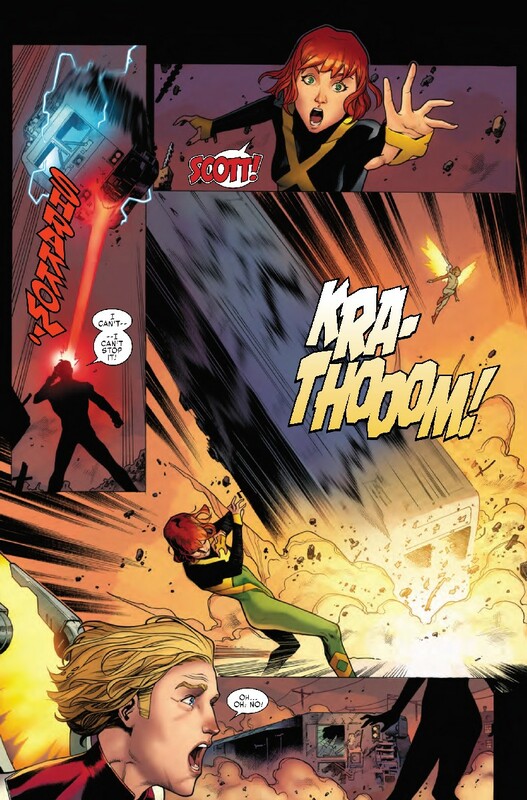 Jean is not so quick to believe him, I mean before her and her team jumped to this time they were just fighting Magneto. Well he's tired of wasting time and knows of only one way to make her believe him, so he removes his helmet and allows her to read his mind. So, now we know that whatever she saw in Magneto’s mind was proof enough to get her on board and she managed to convince her team to join as well. 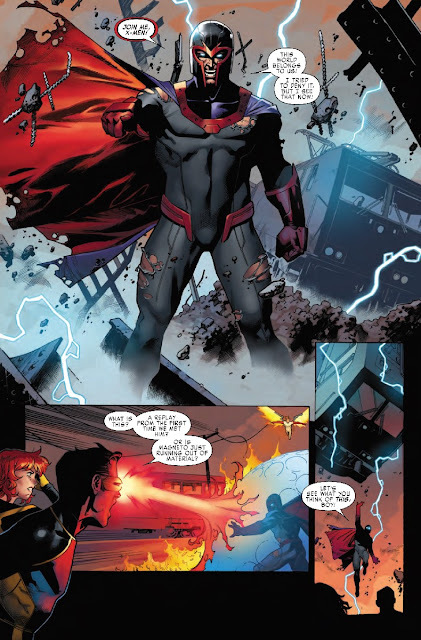 That's where I had an issue with the next segment, the team is going toe to toe with Magneto until it looks like he has killed Scott; when the Danger Room session ended. It looks like our X-men team isn't so trusting of their, until recently, worst enemy. Okay, I can handle that, they are preparing for the worst, what would have been better though is if the WHOLE team participated in their training session. Which sends Scott to have a man to man with Hank where he apologizes to Hank for how he reacted to how Hank got rid of Juggernaut last issue and Scott tells him that magic scares him, but Hank, while alone says something that has me both excited and worried: “Magic scared him, poor little flower, and he hasn't seen anything yet. The thing that worries me is that Hank may be playing with things that'll turn him into a villain, which could be interesting but I'm not sure if I could handle one of my favorite X-men becoming a bad guy. We move on from there with Bobby leaving leaving another message to his boyfriend and Warren decides he doesn't want to get in the middle of things to find out why he skipped training and walks away. Next we move to Jean and Magneto, he's checking on her and the team, Jean asks when their next mission is and we find out what exactly she found in his mind… his tortured past. It seems something has come up, Sentinels spotted in Barcelona Spain. Jean… oh my the way she calls the X-Men to her… simply put it's amazing… To me my X-men thru a telepathic link, Bobby has it right, totally badass. The team assembles and arrive in Barcelona to confront the Sentinels, but they are not sure how to continue when they greet them as fellow Mutants. We swing back Magneto and Ferris where Magneto tells Ferris to monitor the X-Men. This is when we find out Magneto has something up his sleeve: he's working on a way to send this group of Mutants back to their own time. As of right now out of the three X titles out this is the one to read. The pacing is good, the art is fantastic and it is extremely new reader friendly, so if you're not picking this book up you should be. Hated the first issue, but this one brought me back in quite a bit.